抄録： While the Nepalese Community Forestry (CF) program is a highly prioritized development program with potential social, economic, and environmental benefits, its effect on the rural household economy has not been well examined. Using the cost-benefit analysis, this study examines the impact of the CF program on the household economy of forest users in the mid-hills region of Nepal. Both direct and indirect benefits and costs accrued by three wealth-ranked users were considered while calculating net present values. Results revealed that net benefits of the program were greater in rich households than in poor forest user households across a 50-year period. The poor households realized less direct and indirect benefits, yet they paid highest indirect costs incurred from the CF program. The CF program in Nepal requires prompt policy revisions to ensure cost-effective mechanisms to improve net income of poor households participating in the CF program. 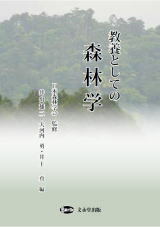 抄録：　Local-scale study on leaf traits and their relationships in a single species along an environmental gradient is essential for scaling up ecophysiological processes from the leaf to the ecosystem level. Here, we quantified 25 leaf traits of two individual species, Quercus aliena var. acutiserrata (Qa, deciduous) and Quercus spinosa (Qs, evergreen), in the same genus, but with different life-form to investigate the leaf traits and relationship variations within and between species along an altitudinal gradient in the Qinling Mountains. Variations of leaf traits were common along an altitudinal gradient at species level, but with different trends between two species. The relationships between plant functional traits were complex and showed different patterns between two species. Two species show different response patterns and adaptation strategies to environmental gradients. The Qa at high altitude suffers from low temperature stress that breaks its carbon balance and leads to growth restriction, which supports the "source-limitation" hypothesis, while Qs at high altitude possesses an adequate supply of carbon to protect from stress, which supports the "sink- or growth-limitation" hypothesis. The effect of environmental change on leaf traits is greater in leaf form than the genetic relationship.